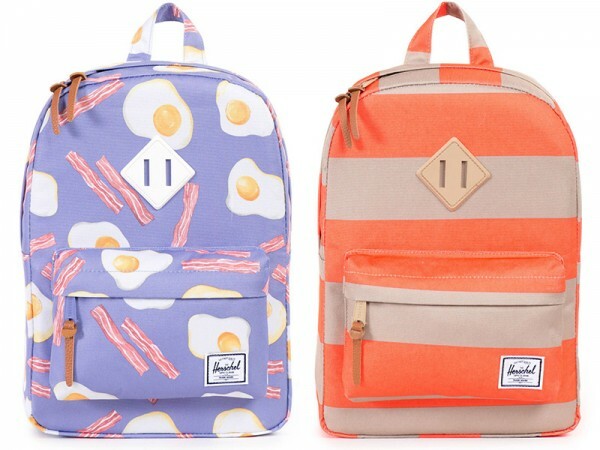 For kids’ backpacks that pack some serious style, head to a brand that knows bags – Herschel Supply Co.
Herschel Supply has created the ultimate backpack, a scaled-down version of one of their classic best-selling styles. And, as you can see from these glorious designs, the Heritage Backpack leads the way in the Herschel Supply Kids Collection. There’s Bacon & Eggs, Neon Orange Stripe, Popsicle Pink and Settlement Stripe styles among the fun styles and bright patterns created exclusively for the Kids Collection. 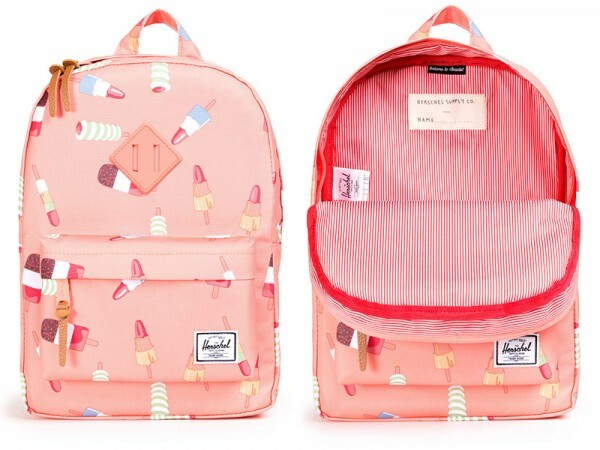 Each backpack proudly displays Herschel’s signature red and white striped fabric lining and quality finishes by way of full leather zipper pulls and padded straps. 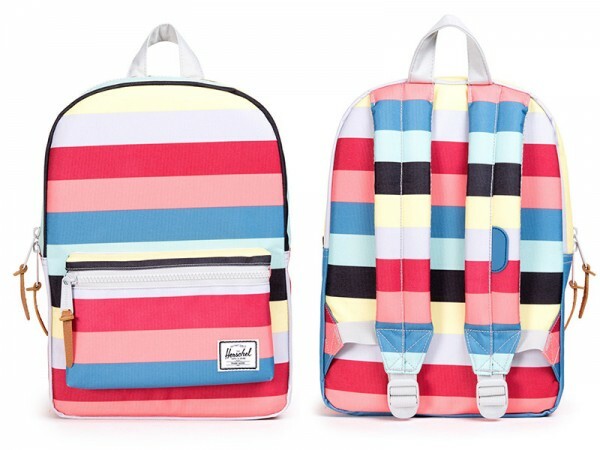 The Herschel Supply Kids Collection Heritage Backpack is available in two sizes – kids size for those aged under seven years, priced from $58.20 and youth size for the seven years and over crowd, priced from $72.80. Available direct from Herschel Supply Co.